Ruben Ramirez Jr, D.C., is a chiropractor located in Albuquerque, NM. Techniques: • Coupled Reduction • Manual Adjusting • Travell Soft Tissue • Trigger Point Therapy Take the next step and contact Dr. Ruben Ramirez Jr, D.C., for a consultation in Albuquerque, NM or to get more information. Helen D'Esposito, D.C., is a chiropractor located in Albuquerque, NM. Take the next step and contact Dr. Helen D'Esposito, D.C., for a consultation in Albuquerque, NM or to get more information. Reginald De Pelichy, D.C., is a chiropractor located in Albuquerque, NM. Techniques: • Applied Kinesiology • Diversified • Sacro Occipital Technique Take the next step and contact Dr. Reginald De Pelichy, D.C., for a consultation in Albuquerque, NM or to get more information. Allen Miner, D.C., is a chiropractor located in Albuquerque, NM. Take the next step and contact Dr. Allen Miner, D.C., for a consultation in Albuquerque, NM or to get more information. James J Lehman, D.C., is a chiropractor located in Albuquerque, NM. Take the next step and contact Dr. James J Lehman, D.C., for a consultation in Albuquerque, NM or to get more information. Mark Schwartz, D.C., is a chiropractor located in Albuquerque, NM. Techniques: • Diversified • Pettibon • Upper Cervical Take the next step and contact Dr. Mark Schwartz, D.C., for a consultation in Albuquerque, NM or to get more information. Peter Mc Anena, D.C., is a chiropractor located in Albuquerque, NM. Techniques: • Activator Methods Take the next step and contact Dr. Peter Mc Anena, D.C., for a consultation in Albuquerque, NM or to get more information. Greg Faust, D.C., is a chiropractor located in Albuquerque, NM. Techniques: • Logan Basic • Activator Methods • Cox • Sacro Occipital Technique • Trigger Point Therapy • Arthro-stim • Percussor Take the next step and contact Dr. Greg Faust, D.C., for a consultation in Albuquerque, NM or to get more information. Louis E Hubbard, D.C., is a chiropractor located in Albuquerque, NM. Techniques: • Sacro Occipital Technique • Applied Kinesiology • Activator Methods • Diversified Take the next step and contact Dr. Louis E Hubbard, D.C., for a consultation in Albuquerque, NM or to get more information. Thomas Soapes, D.C., is a chiropractor located in Albuquerque, NM. Take the next step and contact Dr. Thomas Soapes, D.C., for a consultation in Albuquerque, NM or to get more information. David P Silverman DC, D.C.
Francesco Crivelli, D.C., is a chiropractor located in Albuquerque, NM. Take the next step and contact Dr. Francesco Crivelli, D.C., for a consultation in Albuquerque, NM or to get more information. Jack D Zipper, D.C., is a chiropractor located in Albuquerque, NM. Techniques: • Sacro Occipital Technique Take the next step and contact Dr. Jack D Zipper, D.C., for a consultation in Albuquerque, NM or to get more information. 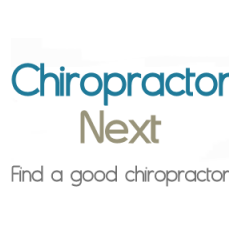 Ken Pagett, D.C., is a chiropractor located in Albuquerque, NM. Take the next step and contact Dr. Ken Pagett, D.C., for a consultation in Albuquerque, NM or to get more information. Vernon S Redd, D.C., is a chiropractor located in Albuquerque, NM. Techniques: • Activator Methods • Coupled Reduction • Applied Kinesiology • Nutritional Response Testing • Arthorstim Take the next step and contact Dr. Vernon S Redd, D.C., for a consultation in Albuquerque, NM or to get more information. Gina T Ogorzaly, D.C., is a chiropractor located in Albuquerque, NM. Techniques: • Applied Kinesiology • Sacro Occipital Technique • Diversified Take the next step and contact Dr. Gina T Ogorzaly, D.C., for a consultation in Albuquerque, NM or to get more information. Gretchen G Peterson, D.C., is a chiropractor located in Albuquerque, NM. Take the next step and contact Dr. Gretchen G Peterson, D.C., for a consultation in Albuquerque, NM or to get more information. Wen Wu, D.C., is a chiropractor located in Albuquerque, NM. Techniques: • Chiropractic Biophysics • Sacro Occipital Technique • Diversified • Palmer Package Take the next step and contact Dr. Wen Wu, D.C., for a consultation in Albuquerque, NM or to get more information. Pat Hale, D.C., is a chiropractor located in Albuquerque, NM. Techniques: • Palmer Package • Gonstead Take the next step and contact Dr. Pat Hale, D.C., for a consultation in Albuquerque, NM or to get more information. Teraence L Timm, D.C., is a chiropractor located in Albuquerque, NM. Techniques: • Activator Methods • Manual Adjusting Take the next step and contact Dr. Teraence L Timm, D.C., for a consultation in Albuquerque, NM or to get more information. Kelly Marie Coogan, D.C., is a chiropractor located in Albuquerque, NM. Techniques: • Diversified • Biomechanics • Toggle Recoil • Sacro Occipital Technique Take the next step and contact Dr. Kelly Marie Coogan, D.C., for a consultation in Albuquerque, NM or to get more information. Elaine Adams, D.C., is a chiropractor located in Albuquerque, NM. Techniques: • Diversified • Trigger Point Therapy • Flexion-Distraction Take the next step and contact Dr. Elaine Adams, D.C., for a consultation in Albuquerque, NM or to get more information. Christopher C Cecil, D.C., is a chiropractor located in Albuquerque, NM. Techniques: • Diversified • Manual Adjusting • Flexion-Distraction • Activator Methods • Myofascial Take the next step and contact Dr. Christopher C Cecil, D.C., for a consultation in Albuquerque, NM or to get more information. Larry Marrich, D.C., is a chiropractor located in Albuquerque, NM. Techniques: • Gonstead • Diversified • Sacro Occipital Technique Take the next step and contact Dr. Larry Marrich, D.C., for a consultation in Albuquerque, NM or to get more information. Robert M Downs, D.C., is a chiropractor located in Albuquerque, NM. Take the next step and contact Dr. Robert M Downs, D.C., for a consultation in Albuquerque, NM or to get more information. John Berlin, D.C., is a chiropractor located in Albuquerque, NM. Techniques: • Diversified • Activator Methods • Cox Take the next step and contact Dr. John Berlin, D.C., for a consultation in Albuquerque, NM or to get more information. Donald D Pattison, D.C., is a chiropractor located in Albuquerque, NM. Take the next step and contact Dr. Donald D Pattison, D.C., for a consultation in Albuquerque, NM or to get more information. Gary L Peterson, D.C., is a chiropractor located in Albuquerque, NM. Techniques: • Palmer Package • Gonstead • Activator Methods • Cervical Drop Headpiece Take the next step and contact Dr. Gary L Peterson, D.C., for a consultation in Albuquerque, NM or to get more information. Scott DelPrete, D.C., is a chiropractor located in Albuquerque, NM. Techniques: • Diversified • Thompson • Activator Methods • extremity Take the next step and contact Dr. Scott DelPrete, D.C., for a consultation in Albuquerque, NM or to get more information. Ben Markham, D.C., is a chiropractor located in Albuquerque, NM. Techniques: • Applied Kinesiology • Diversified Take the next step and contact Dr. Ben Markham, D.C., for a consultation in Albuquerque, NM or to get more information. Michael McGowan, D.C., is a chiropractor located in Albuquerque, NM. Take the next step and contact Dr. Michael McGowan, D.C., for a consultation in Albuquerque, NM or to get more information. Laura Hobson-Shomaker, D.C., is a chiropractor located in Albuquerque, NM. Techniques: • Diversified • Activator Methods • Traction • Cranial • Motion Analysis (Palpation) Take the next step and contact Dr. Laura Hobson-Shomaker, D.C., for a consultation in Albuquerque, NM or to get more information. James E Bare, D.C., is a chiropractor located in Albuquerque, NM. Take the next step and contact Dr. James E Bare, D.C., for a consultation in Albuquerque, NM or to get more information. James Hirning, D.C., is a chiropractor located in Albuquerque, NM. Take the next step and contact Dr. James Hirning, D.C., for a consultation in Albuquerque, NM or to get more information. Karen Genter, D.C., is a chiropractor located in Albuquerque, NM. Techniques: • Diversified • Thompson • Applied Kinesiology • Activator Methods • Sacro Occipital Technique Take the next step and contact Dr. Karen Genter, D.C., for a consultation in Albuquerque, NM or to get more information. Justin A Offutt, D.C., is a chiropractor located in Albuquerque, NM. Take the next step and contact Dr. Justin A Offutt, D.C., for a consultation in Albuquerque, NM or to get more information. Cathy Riekeman, D.C., is a chiropractor located in Albuquerque, NM. Techniques: • Thompson • Gonstead • Diversified • Torque Release Technique • Toggle Recoil Take the next step and contact Dr. Cathy Riekeman, D.C., for a consultation in Albuquerque, NM or to get more information. Mark Hoffert, D.C., is a chiropractor located in Albuquerque, NM. Techniques: • Gonstead • Diversified Take the next step and contact Dr. Mark Hoffert, D.C., for a consultation in Albuquerque, NM or to get more information. William H Doggett, D.C., is a chiropractor located in Albuquerque, NM. Techniques: • Diversified • Palmer Package • Gonstead • Sports Injuries Chiro Take the next step and contact Dr. William H Doggett, D.C., for a consultation in Albuquerque, NM or to get more information. Christian Antonsen, D.C., is a chiropractor located in Albuquerque, NM. Take the next step and contact Dr. Christian Antonsen, D.C., for a consultation in Albuquerque, NM or to get more information. Michael Maggio, D.C., is a chiropractor located in Albuquerque, NM. Take the next step and contact Dr. Michael Maggio, D.C., for a consultation in Albuquerque, NM or to get more information. Robert E Byrd, D.C., is a chiropractor located in Albuquerque, NM. Techniques: • Logan Basic • Activator Methods Take the next step and contact Dr. Robert E Byrd, D.C., for a consultation in Albuquerque, NM or to get more information. Kathy Ulrich, D.C., is a chiropractor located in Albuquerque, NM. Techniques: • Activator Methods • Sacro Occipital Technique Take the next step and contact Dr. Kathy Ulrich, D.C., for a consultation in Albuquerque, NM or to get more information. James A Mertz, D.C., is a chiropractor located in Albuquerque, NM. Take the next step and contact Dr. James A Mertz, D.C., for a consultation in Albuquerque, NM or to get more information. Rod Hodge, D.C., is a chiropractor located in Albuquerque, NM. Take the next step and contact Dr. Rod Hodge, D.C., for a consultation in Albuquerque, NM or to get more information. Vincent Frost, D.C., is a chiropractor located in Albuquerque, NM. Techniques: • Diversified Take the next step and contact Dr. Vincent Frost, D.C., for a consultation in Albuquerque, NM or to get more information.